It’s almost insulting to call this small greenhouse ‘Mini’. 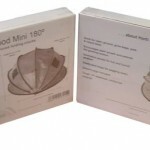 For a cloche, it really isn’t! At approx. 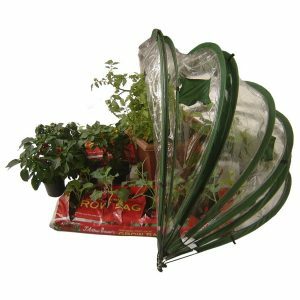 87 cm high, 135 cm wide and 174 cm long you will be amazed at what you can fit into this UV Stabilised PVC dome-shaped miniature greenhouse. 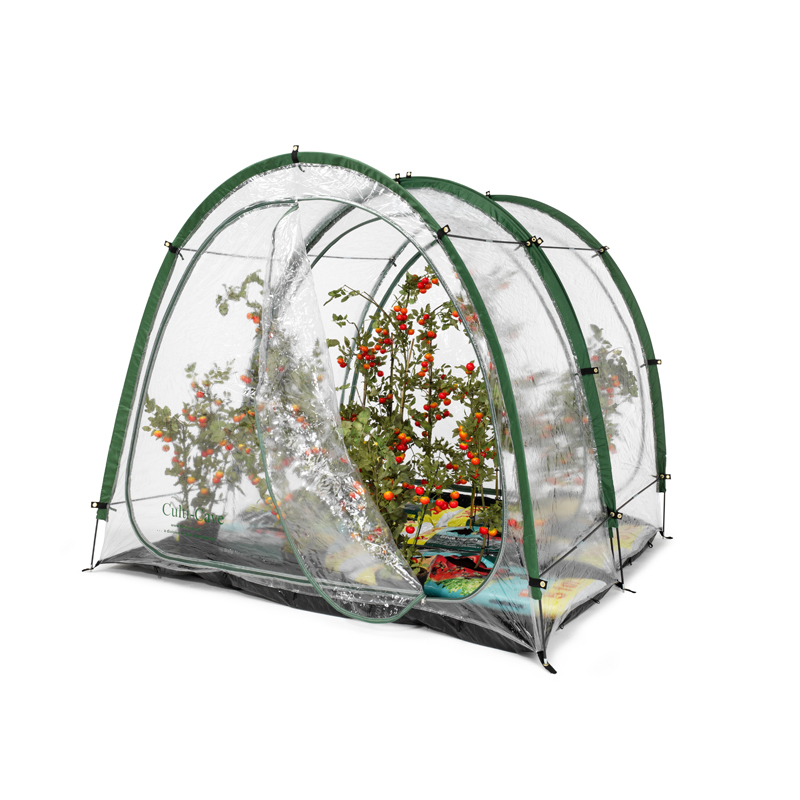 The HortiHood ® Mini 180 º small greenhouse is free standing with loops around the edge to peg it down and, as with our other similar models, full access is easy with the simple lift up/drop down action. 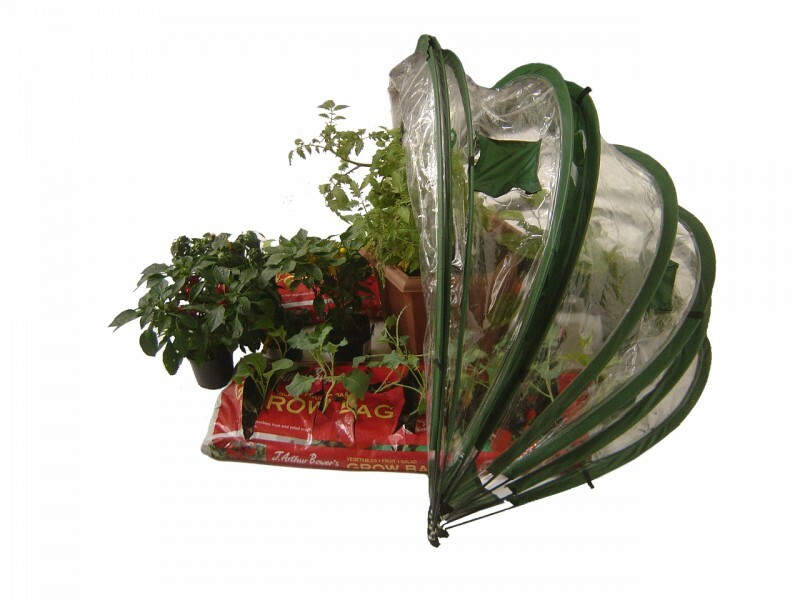 Place it over your smaller raised beds or on open ground for all-year-round growing. 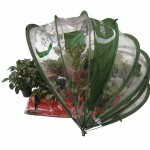 Use it to bring on your young plants or protect your tender plants during the winter. 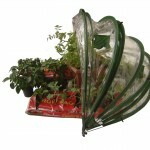 Pop your seedlings under it in the spring to bring them on. 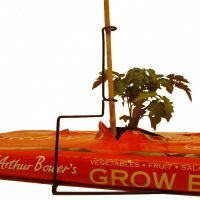 Then just take it off when your seedlings are big enough. Placed over your established plants it will protect them throughout the winter. 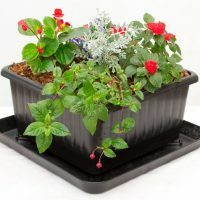 In our experiments, we found that plants inside the HortiHood Mini 180 were 8 degrees centigrade warmer than those outside after a sharp overnight frost. That’s clearly the difference between a plant surviving or dying. Horti Hood Mini 180 small greenhouse is safer than a traditional cloche or cold frame as there’s no glass to break! 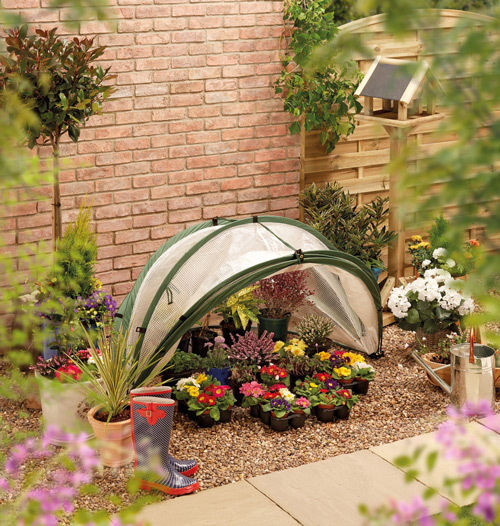 The Horti Hood Mini 180 small greenhouse is lightweight and easy to fold away when you don’t need it. 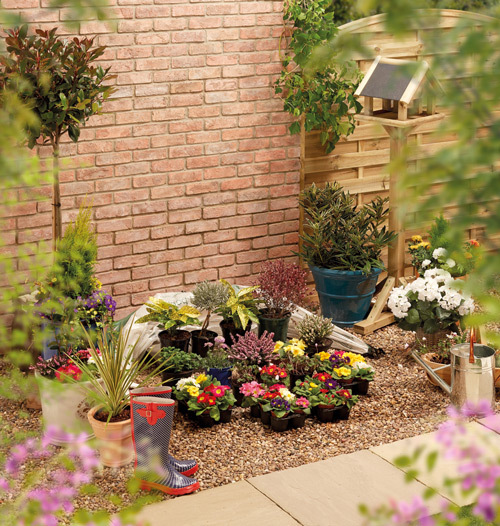 It’s quick to assemble, compact, practical and great value. 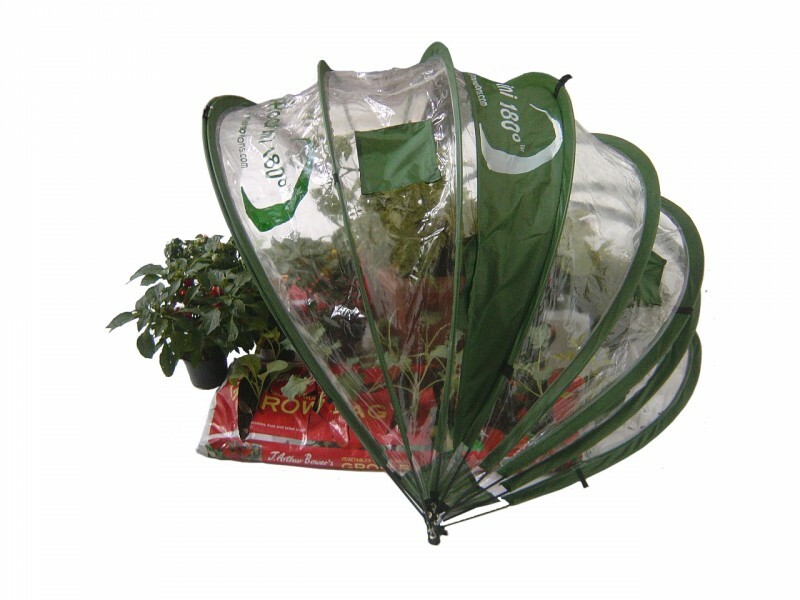 Can you afford to be without the Horti Hood Mini 180º? 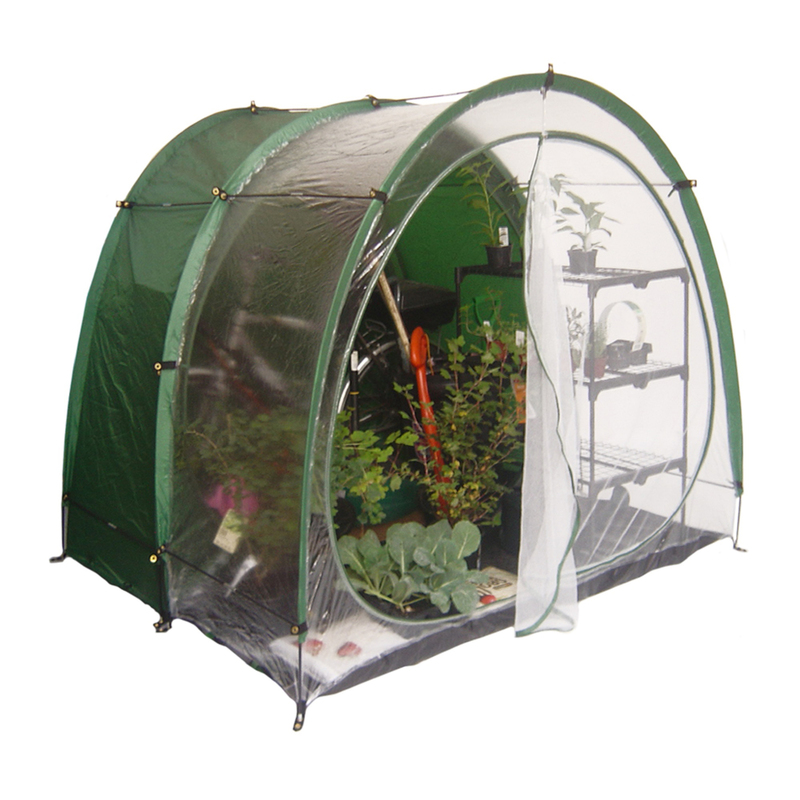 It’s the ideal way to get involved with the grow-your-own revolution. Weighing around 3 kg. 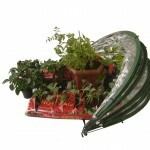 Easy to pick up and take it away or mail order. The following video shows an independent review by Liam Bulson of Love2Learn Allotmenting. 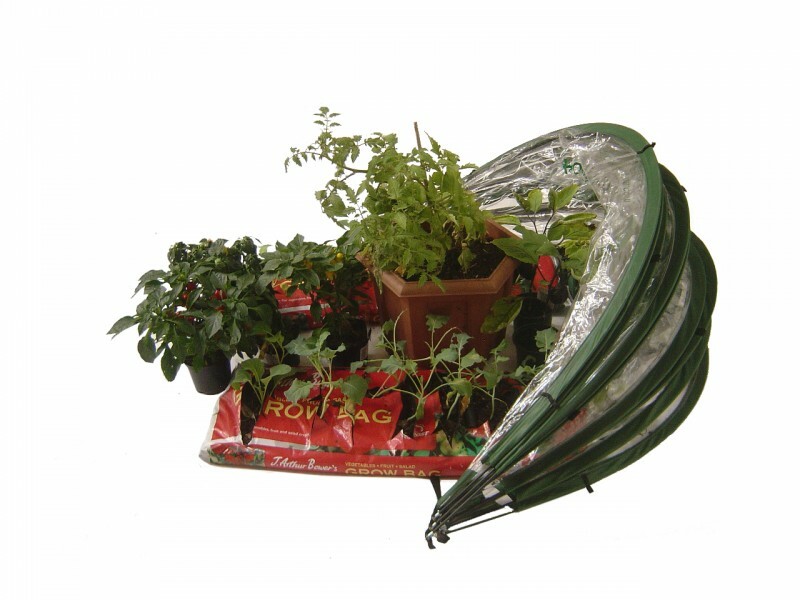 We do a smaller version of the Horti Hood 180 mini – we call it the Horti Hood 90. Click here for more details. 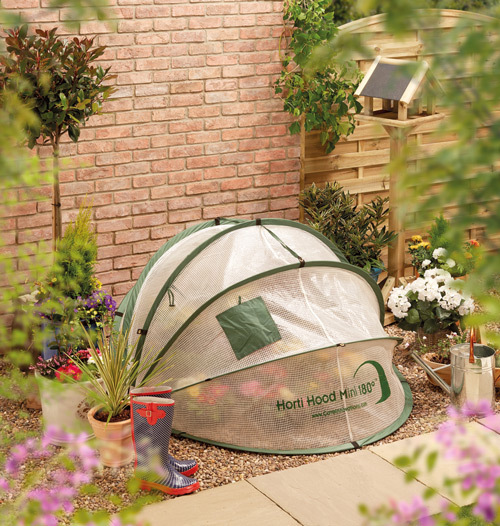 The HideyHood & Hortihood ranges are protected by European Community design registration. US & international patents & design registration applied for.